What is that annoying clicking sound? Hey Carolyn this is an instant FAV....You captured him beautifully it looks like you stood right in front of him....A beautiful detailed shot! Wish we had some of these colorful birds in our area! I haven't seen any yet this year! They must all be in your region! Great capture. The males have a great song during mating season. OH, never mind! This is an Eastern towhee, we have spotted towhees. Great capture !! Beautiful bird. He's a beauty - and such great detail in your shot. Great photo! 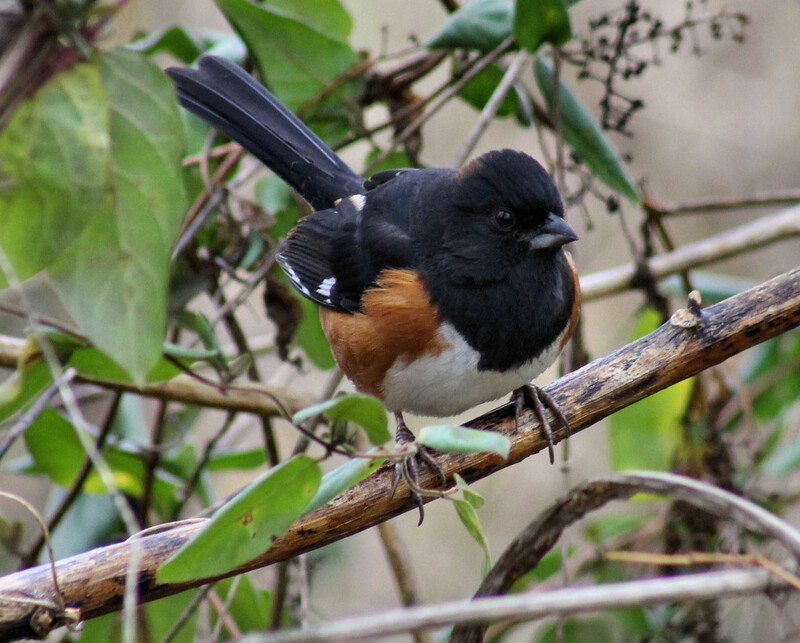 Towhees are really hard to get a picture of! I found with the squirrels that the sound of the shutter makes them pause to listen and the assist beams make the birds look at me. Nice capture here.